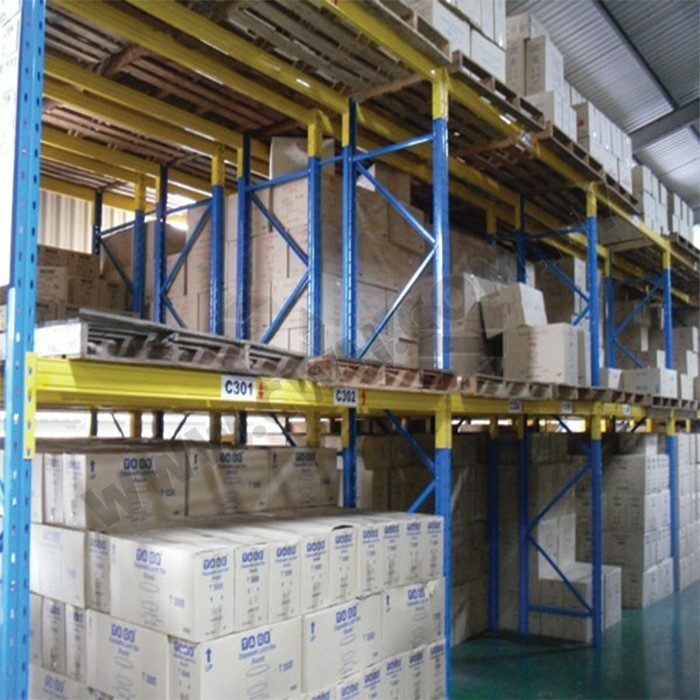 CWH Double Deep Pallet Racking System provides the solution for storing increasing pallets. 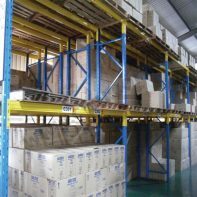 With its unique arrangement of aisle, 2 pallets deep or 4 pallets deep can be arranged. Installation can be arranged as such that the pallet is positioned in front of another pallet. Access entry to pallet is available from the front aisle only, thus recommendation of storing same product is suggested so as to avoid double movement. Only 60% of floor utilization capacity is needed and provided 50% extra storage as compared to CWH Selective Pallet Racking System. Material Handling Equipment such as usage of double-depth telescopic forks on forklifts are required to perform for this racking system.